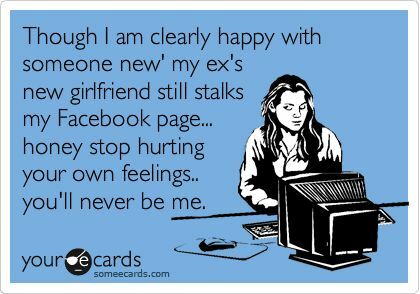 6 TIPS ON HOW TO STALK YOUR BOYFRIEND’S EX-GIRLFRIEND… AND NOT GET CAUGHT. Yes lady I’m talking to you. I used to date your new man and you want to find out a bit about me. What I’m like, am I pretty? Feel free to answer these questions. Thats the beauty of the internet. Google me all you like. But be wise girlfriend. Don’t let me know you’re stalking me. Don’t make me feel hounded. The past is the past for a reason. I don’t want to go there, he doesn’t and neither do you. Nobody wants a restraining order, especially not me… again. But you’re not the first to stalk me and get caught. Its happened a few times. So here are a few tips based on mistakes of others to help you stalk freely without me knowing. NEVER stalk an ex on LinkedIn whilst you’re logged in. Rookie error. The “People Who’ve Recently Viewed Your Profile” page will rumble you. I see you. Be sensible now. It’s easy. 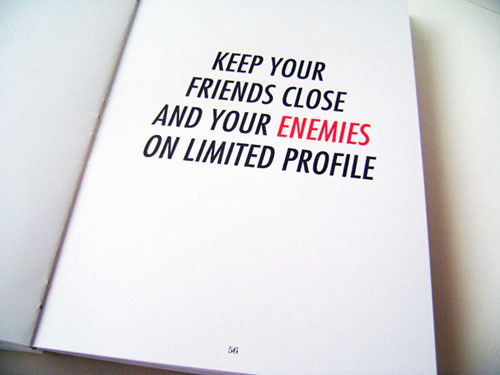 Log out and stalk away freely off the grid. Also, who looks for juicy details on LinkedIn? Do you really care that much what I was doing for work in 2009? What are you going to do next – call up my employer for a reference? Oh so dangerous. Mind that little thumbs up when clicking through your new boyfriend’s old photos. Accidentally ‘liking’ a 5 year old photo I’m tagged in will give the game away. Watch out – you might accidentally follow me or ‘favourite’ one of my tweets. It’s happened before. It’ll happen again. Be cautious. I once received 42 emails (yes 42) at 3am on a Saturday night/Sundaymorning from my ex. He was responding to a whole range of ancient emails I’d sent with comments such as “well that’s nice” and “lovely”. I was SO confused until I opened one that said. Turns out my ex’s girlfriend was ploughing through his blackberry drunk. Thinking she was emailing him. Whoops. Another favourite moment was a text from an ex I’d not heard from in nearly a year warning me to leave him and “the love of his life” alone as they were happy and he didn’t care about me anymore. Weird thing was his grammar was AMAZING compared to when we were together. The guy used to write like a 5-year-old – now he’s Shakespeare? I later discovered it was his new lady friend, having a wild and unhinged moment. With immaculate spelling and grammar. 6. Don’t torture yourself with snooping through emails or texts. So there we go, food for thought. If you feel the need to scour the net for my online presence that’s ok. It’s only human.